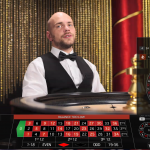 Evolution Gaming has recently released an exciting new variation of live roulette, claiming it to be the fastest version of the game. What Makes Speed Live Roulette Special? Is Speed Live Roulette For You? Good, Bad, Or Nothing To Write Home About? 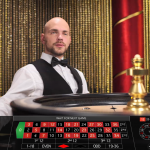 With rounds taking just 25 seconds between each spin, this game certainly provides a new roulette experience and is likely to appeal to many. Clearly the idea with this new game is to allow players to progress significantly more quickly, and it does this in two mains ways. Firstly, bets are only placed during the spin, meaning players have to make decisions much more quickly. For new players, or those using a rather complicated system (perhaps the Labouchere system), this might be an issue, and I’d certainly recommend trying a slower paced version of the game before going straight into this one. 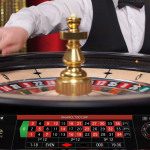 Additionally, winning number recognition software means that the dealer can begin the next round as soon as the previous spin is over. Evolution Gaming claim that these changes allow players to participate in approximately 50 extra rounds an hour compared to their standard live games. To ensure that the experience is as realistic and exciting as possible, the game has it’s own dedicated studio with various immersive camera shots. As I’ve already stated, this game isn’t for everyone. Chief Product Officer Todd Haushalter claims that the game will “appeal to serious and novice players alike”, however I have to disagree. The level of pace this game provides means players have to make their decisions very quickly, and for novice players I can see this becoming stressful and demanding, potentially resulting in poor choices. For experienced players however, or those with a very simply strategy, this game could be just what you need to and some extra excitement, and ultimately bring in earnings more quickly. I think the idea and execution of this game is brilliant. I have no doubt this game will attract a substantial audience, and with the professional layout, specially trained dealers and immersive camera angles, I don’t doubt it will keep it. I personally enjoy playing it, and while there are times when I prefer things to slow down a bit to give me some time to think, or just to keep things chilled, I always find myself going back to it quite regularly.